Felix Dodds is an author of 14 books and 1 comic on sustainable development. His latest book is “Negotiating the Sustainable Development Goals: A transformational agenda for an insecure world” which he wrote with the co-chair of the UN negotiations Ambassador David Donoghue and the Guatemalan negotiator Jimena Leiva Roesch. 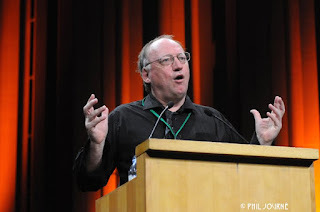 He was the Chair of the United Nations Conference on Sustainable Societies Responsive Citizens (2011) and co-director of the Nexus Conferences (Water-Food-Energy-Climate) 2014 and 2018. Last year he had his first comic out with UNICEF Santa’s Green Christmas Father Christmas Battles Climate Change – it will be a YouTube video this Christmas. He is also President of Amber Valley Liberal Democrats and a former Chair of the National League of Young Liberals (1985-1987). A number of the Green Guard got together in late November to remember one of our fallen comrades; Mike Harskin who died in 1992; but who was at the center of a wave of new young liberals who wanted to green the Liberal Party. Vincent Hanna the famous BBC journalist and News-night presenter expressed how a lot of us thought of Mike. “I asked why the YLs and not the Young socialists – ‘they always have a true faith, an orthodoxy, against which some group are constantly in schism. And everyone knows that half believers are far worse than complete heretics’. I met Mike at by-elections. He was one of the celebrated notorious crew, whom David Steel said didn’t exist, who inhabited the neither regions of the party office. A tiny crew who slept under photo-copiers and produced propaganda. 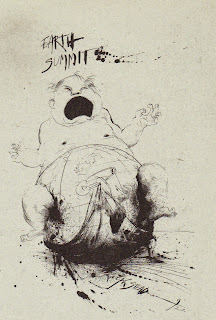 It was dramatic stuff, scurrilous, offensive, acerbic, funny, unfair, occasionally untrue – or half true and it terrified the other parties to death. I thought it was wonderful. Here were two great party machines with offset printers clacking away, with glossy posters by the mile, highly paid staff, flashy cars, being driven rat-arsed by three Liberals with a letraset, a photocopied, a typewriter and a pot of paste. And Harskin was the worst. 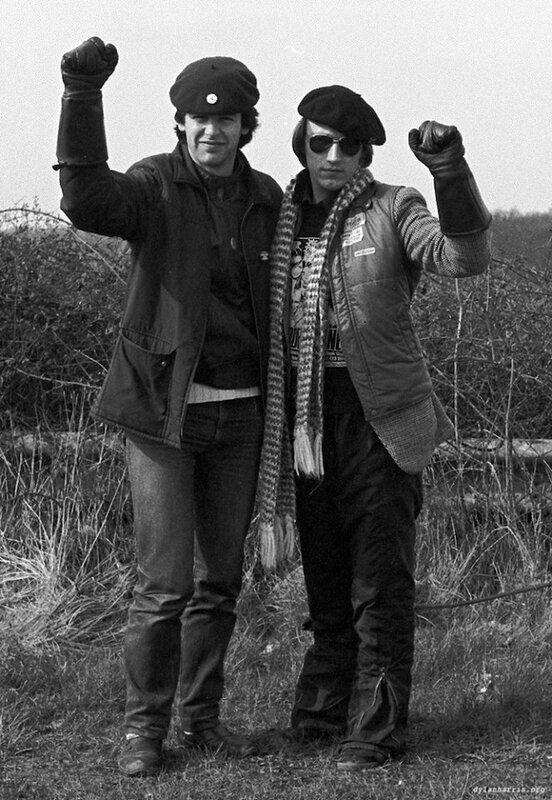 Peter Chegwyn said to me: “he’s talented Mike, you know but he goes a bit over the top. We live - relatively speaking – in a decent and humane society. People are not often imprisoned without a trial or arbitrarily executed. The opposition we see comes neatly packaged from government ministers and state torture is usually accompanied by redundancy payments. But in many other countries of the world you will find Mike Harskin. He’ll be living in some safe house, or keeping one jump ahead of the security police, or sharing a prison cell with a trade union leader or an outspoken priest. Without the Mike Harskins of this world, or the next, opposition would be just a little but more deep rooted, and injustice more widespread. Thirty-five years after the Green Guard came on to the scene its perhaps a good time to review their impact. There have been two times where the Young Liberals have played a critical role in the philosophical direction of the party. The first was of course the Red Guard period from the 1960s to the early 1970s. Gaining the name after sponsoring the anti-NATO resolution at the 1966 party conference. "Underlying libertarian socialism is a different and distinct notion of politics which rests on the belief that it is only through interaction with others in political activity and civic action that individuals will fully realise their humanity. Democracy should therefore extend not simply to government but throughout society: in industry, in the neighbourhood or in any arrangement by which people organise their lives." 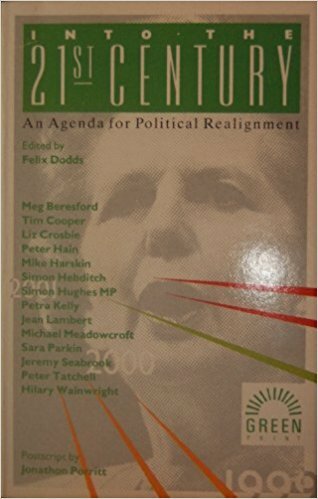 "a dual approach to politics, acting both inside and outside the institutions of the political establishment to help organise people in their communities to take and use power to build a Liberal power-base in the major cities of this country to identify with the under-privileged in this country and the world to capture people's imagination as a credible political movement, with local roots and local successes." This was to revolutionize the party – it became known as "community politics”. The Liberal party had adopted a no-growth economic strategy in 1979 which took into consideration the impacts of the economy on the environment. This was a beacon for the growing environment activism that had been birthed with the moon landing and the UN Conference in 1972 on Human Environment. By 1982 young people were looking for a political party that took the environment seriously and the Liberal party looked like it would be a good place to have some impact. The Alliance with the Social Democratic Party (SDP) had shot them to what at the time looked like a possible government with opinion polls showing them on over 50%. "Fellow Liberals, we could change the direction of British defence and disarmament policy. But we are a party. Many of us joined this party because of its aim and its goal: a non-nuclear Europe in a non-nuclear world. We have never voted to replace independent nuclear deterrent. Not only must we not do so now, but our policy must be to do so never – and, to replace an independent British nuclear deterrent by a European nuclear deterrent - even if that concept was workable - is not an acceptable alternative.... We are on the verge of responsibility. There's no more important subject - the battle is not between us, the battle is for our future. 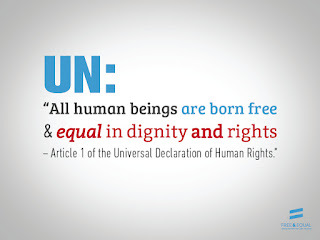 I urge you to accept both amendments and the resolution and be proud of all that we stand for. [applause; standing ovation] "
The approach of the 1980 YLs, like their predecessors the Red Guard, pushed for active green policies at the local level with Liberal Councils across the country leading the way on tackling CFC recycling to protect the ozone layer, greening our towns with more cycle paths and attacking local water and air pollution challenges. 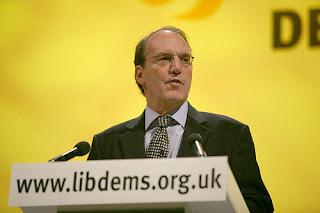 At the national level, MPs like Simon Hughes, David Alton, Michael Meadowcroft and David Penhaligon in particular, led the push in parliament for green policies. 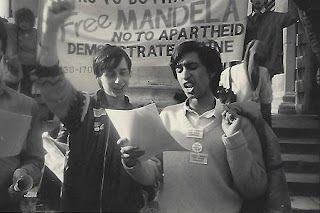 Some Green Guard members would, themselves, become MPs in the 2000s - Adrian Saunders and Martin Horwood. The 1980s put the YLs in coalition with Greenpeace, Friends of the Earth and other environmental groups. 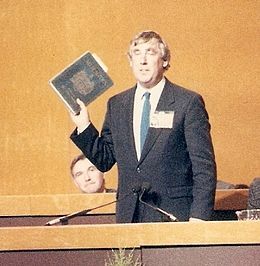 Des Wilson, who had been President of Friends of the Earth, became the Party President and election coordinator for the 1987 General Election. It was as if we were the Green Party. We were one of the first groups to address the issue of climate change seriously. We were also at the forefront in addressing a rights agenda whether it was the problems in Northern Ireland, gay and women’s rights or the need to fund international development. Looking at the state of the world in 2017 it is clearer where the successes were and where we did not address key issues which we should have done. Perhaps we should view the bad news first. We had no economic experts or proper theory on how or what the real elements of a green economic policy was or wasn’t. We weren’t alone in the party or in the greater green movement. 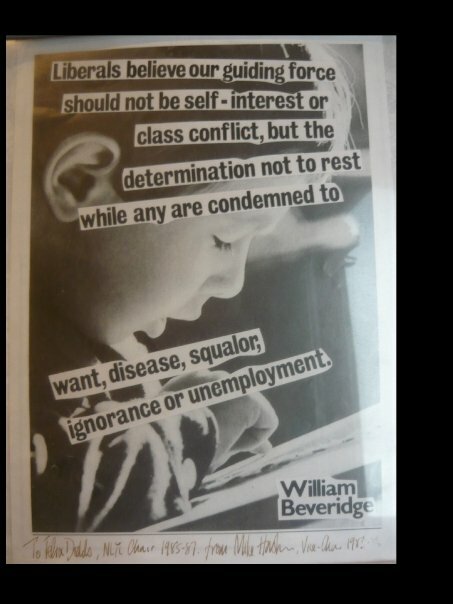 David Boyle and others have constantly reminded Liberal Democrats that we need a real economic conversation and education. This seems strange, considering the impact that the Liberal party of the 1930s had on 20th century economic policy with Keynes and Beverage. Pretty good! I would add to the end `or an unsustainable planet`. We should have sent the bankers to jail – as happened in Ireland and Iceland. This has fed the rise of economic nationalism and can be tied back to that and we did NOT voice or act on that concern enough. The Labour leader has now been seen as the true advocate of accountability and it should have been US. The next financial crisis is not far away it happens roughly every 10 years in one form or another. Are we prepared? No! On Iraq, the party took the principled position on the war was illegal and needed a second resolution, I would point out so, behind the scenes, did most of the former Major cabinet. On the issue of nuclear power and weapons the party has now taken policies that would not fit in with the Green Guard perspective. It is very difficult to understand why that is - there is no evidence that nuclear power has a role in our energy mix and with the costs of renewables already competitive and getting more by the day then I believe this is a misstep. Nowadays I spend most of my time at UN meetings where I have seen the UK reputation and impact decrease significantly over the last ten years - we are no longer a major power in most discussions. That we have nuclear weapons is the only reason that we are taken account of on peace and security now. Where the UK used to lead on environmental issues, France and Germany have that role as well as leading developing countries such as Brazil, South Africa, Colombia and India and China. On the positive side the party is still working at the local level to promote green policies and the UK Green Bank could have been a real significant partner in this. But it has recently been sold off by the Conservatives! The party has been at the forefront of the climate change issue on the successful push for 0.7% of GNI for development aid. We live in perhaps the most insure world since the 1960s and what we need is inspiring leadership that understands the risks and challenges ahead. The Liberal Democrats have been at the forefront of flagging up the Economic Crisis in 2007 and the challenges of economic nationalism as expressed by Trump and Brexit. Climate change is a great equalizer - we all will be impacted by it over the coming years and having a President in the White House who doesn’t accept science, and promotes fake news, creates an even more Clear and Present Danger to us all. I hope this reflection sparks some conversations in the party and beyond. The YLs of the Red and Green Guard period were successful because they reached outside of the party to bring new ideas and people into the party but ultimately, they worked for the promotion of liberalism as opposed to the party. 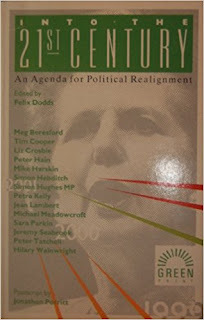 You can find liberals in all parties and that is why at the end of the Green Guard we produced the book ‘Into the 21st Century: An Agenda for Political Realignment’ (1988 still available on Amazon) in which we argued we need to work on green and liberal issues across the parties together. An earlier echo of the talk of progressive alliances that are on the table now. By working together we can create the just, equitable, fair and sustainable planet that would surely be a great achievement for liberals.